How to Turn Your Wii System into the Ultimate Entertainment Experience! I guess it's fair to say that the most important part of the perfect Wii setup, is the actual Wii console itself. If you don't have this most critical piece of gear yet, the Nintendo Wii console comes complete with controllers and the cracking Wii Sports game to get you going right out of the box. Even though the Wii system doesn't have Wii HD graphics, the Wii's games still look great on a modern TV. To wring every last drop of visual delight out of your Wii, it's really worth investing in a Hi Definition (HD) television. When you're looking for the perfect television to play video games and watch your favourite movies, the ones to check out are the "true" 1080 HD TVs. Although 1080 resolution has been around Europe for a few years already, the original HD TVs in the US only had 720 resolution. The numbers sprouted above refer to the number of pixels that make up the picture on the screen. The most important thing to note is that the higher the number, the better the picture quality. HD TVs with 1080 resolution are now readily available around the world. HD TVs come in different sizes. As a general rule, the best size TV to buy is determined by the size of the room you're putting it in. Whatever size you get, a High Def TV will absolutely take your Wii gaming experience to the next level! Surround sound has become a well known standard in home theatre systems. Most home theatre systems have 5 speakers placed around the room, plus a sub-woofer (bass) speaker on the floor next to the TV. A surround sound system is designed to give you the same experience as being in a movie theatre. These surround sound systems are known as 5.1 surround sound. This means that sound is sent to all 5 speakers around the room, and the .1 refers to the sub-woofer speaker on the floor. Pretty much all modern movies are made with 5.1 surround sound capability, creating the perfect cinema experience. The Wii system doesn't have true 5.1 surround sound programmed directly into it, like your favourite DVDs have, but it does use a technology called Dolby Pro Logic II. Dolby Pro Logic II sends the sound from the Wii games to all 5.1 speakers as if surround sound was programmed directly into the games. In order to take advantage of Dolby Pro Logic II surround sound in the Wii's games, you'll need a home theatre/surround sound system with a Dolby Pro Logic II setting. If your surround sound system has a Dolby Pro Logic II setting, simply plug the Wii's audio cables (red and white) into 2 of the audio inputs on the back of your surround sound system. Once connected, simply select the Dolby Pro Logic II setting on your surround sound system to enjoy a surround sound experience with your Wii (for instructions on selecting the Dolby Pro Logic II setting on your home theatre/surround sound system, please check the instruction manual for your particular system). While a good home theatre system will cost you more than the Wii console itself, you'll get so much more entertainment value out of it than simply playing Wii games. Because home theatre systems come with a built-in DVD/CD player, you'll use it to watch movies, listen to music (you can easily plug your iPod into it), watch TV in surround sound, and of course play your Wii. I've got a Sony home theatre system, and I use it all the time for watching TV, DVDs, and playing video games. Next to my HD TV, it's probably the most used appliance in my house! The Wii comes boxed with standard audio visual (AV) cables to connect your Wii to your TV and home theatre system. 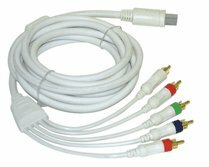 While the graphics are still really good using this standard AV cable, you can dial up the graphics a few notches by getting the Wii Component Cable. The Wii Component Cable is specifically designed to improve the graphics on the screen by having three separate picture cables. A TV creates colour pictures by combining red, green, and blue colour signals. Each of the 3 cables making up the Component Cable carries its own colour signal to the TV, and makes sure that each colour signal is strong. The standard AV cable only has one picture cable (instead of 3). This means that the red, green and blue colour signals all have to fight to get through to the other end. This causes some loss to the quality of the picture signal when it reaches the TV, and means the picture quality isn't as good when compared with the Wii Component Cable. The Wii Internet Channel is a fully functioning web browser on your Wii console. The Internet Channel lets you surf your favourite websites right on your TV. 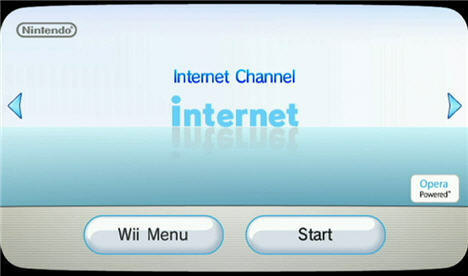 Used smartly, the Wii Internet Channel can actually boost the functionality of your Wii system. The Wii can't play music CDs or DVDs directly, but with the Internet Channel you can listen to free music by streaming your favourite internet radio stations, play free Wii flash games and watch YouTube clips on the specially designed YouTube website for the Wii. The Wii Internet Channel can now be downloaded from the Wii Shop for free and is well worth downloading. The Wii game system is a great family entertainment system with loads of potential. By adding a High Definition TV and 5.1 home theatre surround sound (with Dolby Pro Logic II), you can turn your Wii system into the complete entertainment experience. Setting up the perfect Wii system doesn't need to blow your budget either. With the price of TVs and home theatre systems coming down in price all the time, it's easy to find good quality kit at an affordable price. So take some time and create a Wii system that gives you a thrilling entertainment experience every time you fire it up! Learn more about all the features of the Wii system from the Wii Features main page.